Always a huge potential for a booming ‘youth market,’ Austin was still a wasteland, void of much contemporary entertainment in 1970. The discovery of a huge, vacant National Guard Armory that summer offered an opportunity to change that. Though it lacked basic amenities like A/C, heat, and furniture and there was no cash for improvements, the creative energy was there to turn it into something special – The Armadillo World Headquarters. The rent was cheap and it was hidden from public view. Beautiful residential gardens being torn up for a new highway that ripped through town provided plentiful high-dollar landscaping materials for digging and hauling. Within a couple years, the asphalt and razor-wire surroundings were transformed into a lush beer garden. Meanwhile, inexpensive interior improvements resulted in a listening space for 1,500 attendees, all with a great view of the stage. Some called it a hideout for the biggest hole-in-the-wall-gang that Texas ever mustered. Gung-ho hippies felt at home there and they extended warm hospitality to all who ventured in. Soon, all walks of life felt at home there, too. They enjoyed everything from AC/DC’s first American performance and Frank Zappa’s hard rock, to classic country-western like Tom T. Hall, Willie and Waylon, and blue grass from the master: Bill Monroe. From Ravi Shankar’s sitar to the Austin Ballet Theatre – Miles Davis’ Jazz, folk and blues, early Stevie Ray Vaughn and ZZ Top. The list of names and legends goes on and on: Fats Domino, Ray Charles, Jerry Garcia, Leon Russell and friends. 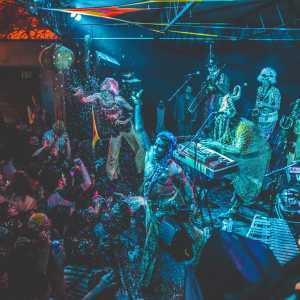 By the end of its first year, bands from all over America and far beyond ventured to Austin in search of the crowd that became famous for its eccentricity, attentive listening, and thunderous applause. 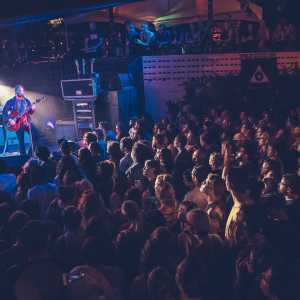 As a result, Austin became the first city for be recognized for its musical audience. 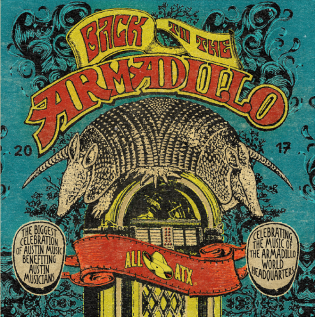 Though the Armadillo is gone, the attempt to feed that hungry audience continues to be a priority of ALL ATX, year after year. 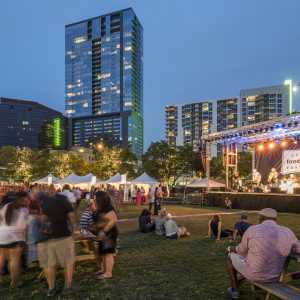 Now, ALL ATX and Visit Austin have brought together a collection of unique tracks from some of our city’s most beloved musicians that span the entire catalog from that defining era.